It’s Fourth of July weekend and we here at Shoreline Properties couldn’t be more excited to spend the holiday with you! If you’re wondering where to go for some fireworks and fun, wonder no more. Ocean City features several amazing firework displays you won’t want to miss. Head over to the N. Division Street beach for a concert and fireworks. You can also spend the evening at Northside Park and enjoy the live music and firework show. If you’re not going to get to be here for the main event, the N. Division Street beach features firework shows all summer long! For the exact dates and time, check out Ocean City’s website. However you choose to celebrate the holiday, we at Shoreline wish you a happy one. Author Keti LynchPosted on July 2, 2017 June 30, 2017 Leave a comment on It’s Independence Day!!! Empty all trashcans and dump the bags either down the trash chute (usually found in the building hallway) or the closest dumpster (usually found behind almost any building). Wash all the dishes you and your party used and place them back where you originally found them. It is your responsibility to clean the dishes you used, as cleaners do not wash dishes. If you moved any furniture, please return it to its original position. Double check every room, closet, and drawer for any personal items. We do not ship any items left behind. If the cleaners or following tenants find anything, you must arrange for your own shipping. Make sure all sliding glass doors are locked, all windows are closed, and lock the front door. Thank you so much for renting with Shoreline. We hope to see you again for your next vacation! Author Keti LynchPosted on June 30, 2017 June 28, 2017 Leave a comment on Tidy is Mighty! This year, Shoreline Properties has acquired many beautiful new properties! Come be among the first to stay at any of these lovely homes away from home and check them out now! Click on each name to find out more! Purnell House 401– This luxury three-bedroom condo is gorgeous and cozy, an upscale beach haven! It has some amazing features, like free WiFi and an outdoor pool. There’s plenty of sleeping space with two king beds, two bunk beds, and a queen sleep sofa. It’s the perfect family getaway! La Mirage 205– This one-bedroom condo epitomizes the beach cabin with its adorable coastal decor. It has some great features, including free WiFi and a breathtaking view! Sleep comfortably in the queen bed, the roll-away bed, or the queen sleep sofa. It’s the best place to immerse yourself in beach vibes! Pyramid 19-J– This luxury one-bedroom condo fully embraces modern styles. It features high-end furniture and artfully crafted sinks. It offers free WiFi, two double beds, a queen sleep sofa, and an outdoor pool. Come and be amazed by this condo and the view! SeaBrook #205– Beach decor dominates this two-bedroom condo, recalling the very beach that is a mere stroll away! It has some impressive features, including free WiFi and three TVs! Sleep deeply in the queen bed, one of the two double beds, or the queen sleep sofa. For the beach-crazed, this condo is ideal. Sunset South #3– This two-bedroom condo is as fresh as spring, decorated with floral patterns and pastel colors. It’s super affordable and features free WiFi! You’ll sleep soundly on the queen bed, one of the two twin beds, or the queen sleep sofa. If you’re looking to be refreshed on your vacation, this condo is perfect for you! Beach Club 123 C-This sophisticated two-bedroom condo is impeccably decorated and tastefully styled. Sit in the lap of luxury and make use of the free WiFi and the outdoor pool. Rest up for the next day’s fun in one of the two double beds or the queen sleep sofa. Stay at this two-floor condo and take your vacation in style! Discovery I #11– This upscale three-bedroom townhouse is stylishly decorated and spacious enough for even the biggest of families. Relax by the docks and take advantage of the free WiFi. Curl up wherever, since the house offers a king bed, a double bed, three twin beds, a queen sleep sofa, and a double sleep sofa! You’ll be living large in this gorgeous townhome by the bay. Jamaica I 302– This two-bedroom townhouse is a modern marvel. The wood flooring complements the decor fantastically. Relax on the balcony and utilize the WiFi offered. Have sweet dreams on any one of the many beds, including a king bed, one of the two twin beds with trundles, and a queen sleep sofa. You’ll never want to leave this beautiful canal-side home. Channel Buoy Retreat– This fabulous five-bedroom luxury house will make you feel like royalty with all its beauty and splendor. Take in the breathtaking view of the canal or enjoy one of the house’s many exciting features, like free WiFi, a game room, a boat dock, and a stunning courtyard. Splurge for a family reunion and find a comfortable place for everyone to sleep. The home includes a king bed, a queen bed, two doubles, a bunk bed, a day bed with a trundle, and a twin. Find your heaven on earth at this magnificent retreat. Easton Home– We also feature one property in Easton, Maryland: an absolutely stunning five-bedroom luxury estate. This home- perfect for weddings, family reunions, and more- has so much to offer, including free WiFi, two outdoor pools (one heated! ), a game room, kayaks & paddleboard, a pier, brand new Jenn-air appliances, a waterfall sink, and much, more more! Everyone’s got a place to sleep, since the house is equipped with two king beds, three queen beds, and two doubles. This estate home offers a mind-blowing experience in a wonderful historic town, allowing you to make memories to last you and your family a lifetime. Author Keti LynchPosted on June 29, 2017 June 29, 2017 Leave a comment on Check Out Our Newest Properties! Hints & Tips for Your Ocean City Escape! Eating out is fun, but some days it’s easier to stay in. There are several grocery stores located throughout Ocean City for your convenience, including a new Walmart Supercenter on Route 50. Swim safely! If your rental property has a pool, please be aware that there may not be a lifeguard on duty. Keep an eye on every member of your party, especially kids. And remember, children must always be accompanied by a responsible adult. Forgot your beach supplies? No problem! Beach chairs and umbrellas are available for rent all along the beach. Do you have no where to park? No worries! If you have more cars than parking spaces, there is always street parking available all over Ocean City. Best of all, it’s completely free! Traveling around Ocean City to get to all the amazing attractions can be a real hassle. Instead of fighting the traffic, take the bus. It’s just $3 a day! Pesky sand getting everywhere? Avoid tracking it into your rental by making use of the outdoor showers. Some buildings have them located right on their side, but you can also find them along the Boardwalk and Dunes. Rinse off your family and all your beach supplies. Additionally, we recommend you leave your beach supplies in the car or a storage closet, if one is provided. Keep cool by keeping steady! Avoid adjusting temperature settings or leaving the freezer door open for long periods of time. We recommend keeping all air conditioning set at a cool 70 degrees. Don’t stress; just relax! Many TVs have more than one remote; be sure you use the correct remote to change channels or access other features. Spend with a plan, Stan! We offer many coupon books and activity pamphlets. Stock up when you check in and use them throughout your stay! While vacation is a time to let loose, we ask that you treat all furniture with care. Employ some “house rules,” so you can avoid any breakage or damage. With these tips and trick by your side, you’re sure to have an amazing vacation! We at Shoreline look forward to seeing you this summer! Author Keti LynchPosted on June 28, 2017 Leave a comment on Hints & Tips for Your Ocean City Escape! Shoreline Properties welcomes you to Ocean City! We hope you have a fun, safe, memorable vacation. And remember, we are always available to help make your vacation even better! Give us a call at 1-800-492-5832 or browse our site so you can plan for your future vacation! Let’s make this summer awesome! Author Keti LynchPosted on June 27, 2017 Leave a comment on Welcome to Ocean City! 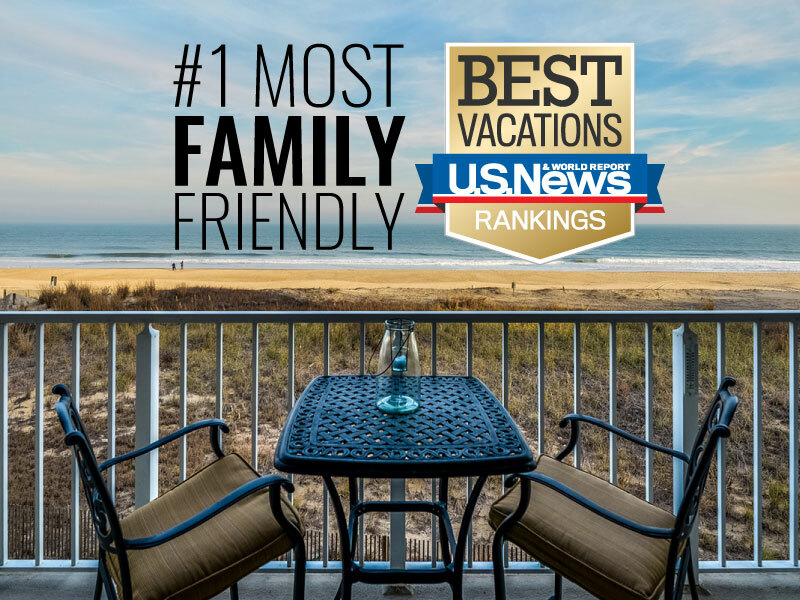 The world is filled with fun, interesting vacation spots, but we here at Shoreline are proud to announce that Ocean City, Maryland was named the #1 Vacation Spot by U.S. News & World Report. Out of all the getaways in the world, our humble beach town was chosen by more people than anywhere else! With all that we have to offer— from unique restaurants to our famous Boardwalk and, of course, to the beach— it should hardly come as a surprise. Ocean City prides itself in being the perfect place for a family vacation. If you haven’t booked your summer vacation yet, be sure to book it here— the World’s Best Vacation Spot! We look forward to seeing you!